Toshiba showed off a 4-inch display for cellphones with a 367ppi resolution earlier this year, and it's now back with an even higher pixel density for its new 6.1-inch display for tablets (or possibly phones, at the rate things are going). This one comes in at an impressive 498ppi, which translates to a resolution of 2,560 x 1,600 -- or more than enough for some "photo-realistic" images, according to Toshiba. As for the other key specs, it boasts a 1,000:1 contrast ratio, 16.7 million colors, and 61 percent coverage of the NTSC color gamut -- plus viewing angles of 176 degrees both horizontally and vertically. 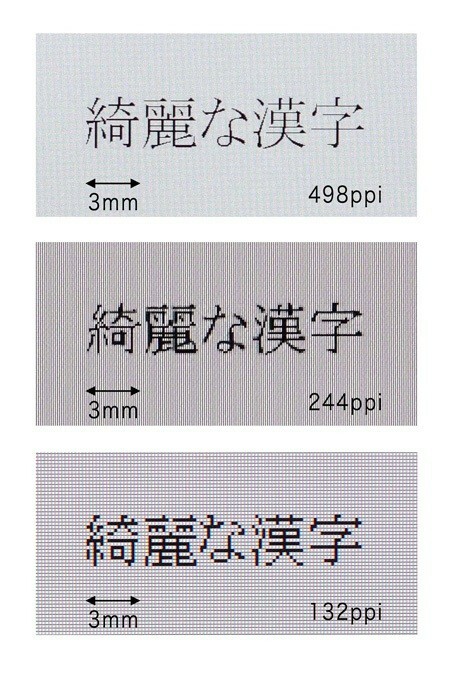 What's more, Toshiba is even suggesting that the display could also be used for glasses-free 3D, which would cut the resolution in half but still be higher than other comparable displays. Unfortunately, there's no word on when it might actually hit some tablets, 3D or otherwise. Head on past the break for an up-close look at those pixels.